When I make this barbecue sauce, I still think of the day over 15 years ago when I walked into a client’s house and smelled the most amazing aroma. She was preparing homemade barbecue and the smell was intoxicating. She was sweet enough to jot down the recipe on a piece of scrap paper, which I still have. I think this barbecue sauce is the perfect balance between tomatoey goodness and vinegar kick. Ginger and soy sauce are the mystery ingredients! Preparing the sauce is about as easy as running to the store to buy some. It consists of mostly pantry ingredients and requires a quick, 5-minute simmer. If you want finger-licking-good pulled pork sandwiches or barbecue ribs, give this a try. Leftovers will keep several weeks in your fridge. I like to pour into any condiments jars I happen to empty and label accordingly. 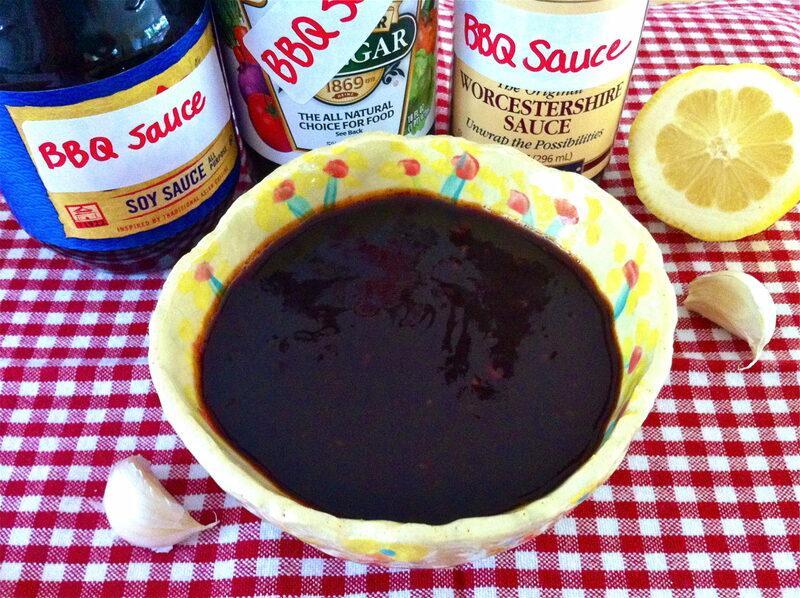 This basic barbecue sauce is a perfect balance of “tomatoey” goodness and vinegary kick. Ginger and soy sauce are the secret ingredients that round out the flavors. Preparing this sauce is about as easy as running to the store to buy some. It consists primarily of pantry ingredients and requires a quick, 5-minute simmer. Leftovers will keep several weeks in your fridge. For easy storage, pour into any condiment jars you happen to empty in the process and label accordingly. Mix all ingredients in a sauce pan and bring to a simmer over medium-high heat. Reduce heat to medium-low and simmer for 5 minutes, stirring frequently. Remove lemon slices and store in the refrigerator. This sauce will keep for several weeks. GREAT recipe! Thanks for sharing! I just pinned it!! Thanks, Kim! Hope you love it as much as we do! 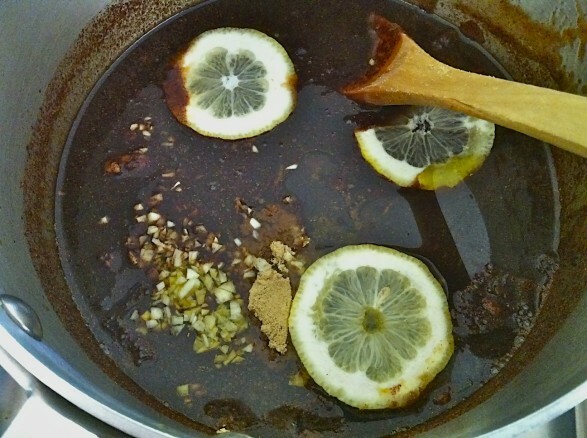 Hi Ann — I just made this BBQ sauce a few days ago for some pulled pork. I really liked it and it proved to me that not all BBQ sauces are created equally. Much tastier than the store bought version. Thanks! I am thrilled you enjoyed and bet your pulled pork dinner was a hit. I think it is about time for me to make that again here…we all love it! Thanks so much for the comment, Rila! We love this recipe! Especially delish on our ribs cooked on the Green Egg. Thanks! I’m so happy you enjoyed, Babs. Thank you for letting me know!